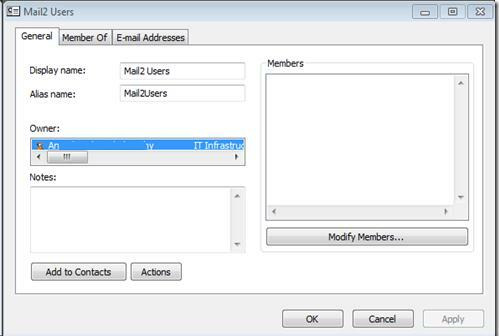 By default, Outlook and OWA users can view the list of members of the Distribution Group in Exchange. In Microsoft Exchange 2003 it was possible to hide users from any distribution group directly in ADUC console by finding the necessary Distribution Group and selecting Exchange Tasks ->Hide Membership in the context menu. In Exchange 2010/2013 a similar feature is missing. As an alternative, to prevent the list if the Distribution Group from being shown, you can use Dynamic Distribution Groups instead, which are dynamically updated according to the specified LDAP query. But this solution does not suit all purposes and is not flexible enough. As it turned out, there is an alternative way that allows to hide the members of the Distribution Group from other users still available in Exchange 2010 / 2013. It is based on hideDLMembership attribute of AD groups, which determines whether the list of recipients in a Distribution Group should be displayed. Start Active Directory Users and Computers (ADUC) console. Check the Advanced Features option in View menu. 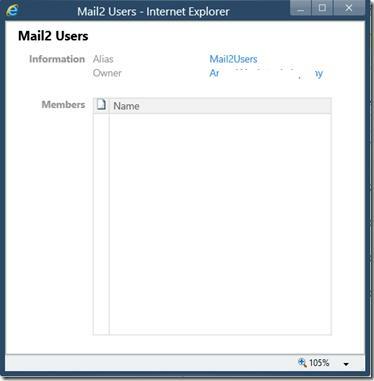 Find a Distribution Group or a Security Group with the mail enabled. Tip. Don’t use search, since there will be no Attribute Editor in the group properties. 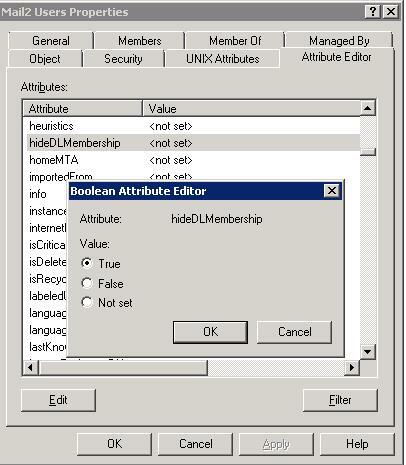 Open the properties of the necessary group and go to Attribute Editor tab. Find hideDLMembership attribute and change its value to True. Save the changes by clicking OK twice. The changes you have made will take effect after Exchange regenerates Offline Address Book and Outlook, and users get it. As a result, the Outlook Address Book properties window is no longer displayed list of users included to the Distribution Group. The same is true to OWA.